Mr. Archibald Lyall has struck completely virgin soil for his new travel book. 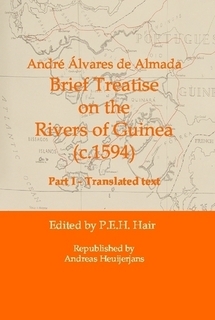 This is the first work that has ever appeared in English on the Portuguese colonies of either Guinea or the Cape Verde Islands. They may truly be said to be two of the least known territories in Africa, if not in the world—but by no means two of the least important. With the German demand for colonies, and the confused future of the Mediterranean, they may yet leap into front-page news, and Mr. Lyall has much that is topical to say about the strategic importance of Cape Verde, and about the German activities in the Bissagos Islands, off the Guinea coast, where the French newspapers place secret naval bases almost weekly. During his adventures, Mr. Lyall sailed in the last wind-jammer still left in the trans-Atlantic passenger trade, he stayed with alleged cannibals, hobnobbed with some of the most eccentric exiles ever to be washed up on a tropic beach, discovered the worst poet in the world—and at least one very good one. Photo's of this book (partially available in the book). The Jesuit Mission to Western Guinea was the first one outside Europe. Here the texts of the Jesuit Mission's staff in early 17th century, as collected by Teixeira da Mota and translated by P.E.H.Hair, are completely transcribed and republished. When I visited Santiago the first time in 2002, I had already read some travel guides and was interested to see all the beautiful places. After I did see many of these places and met many of its people, I became more and more interested in Cape Verde's special history. The Portuguese discovered the islands in 1460 and they were almost immediately colonized. From then on a particular mixing of people from West-Africa and Europe were the continuous ingredients of Cape Verde's culture. My personal interest is in re-experiencing the historical development of Cape Verde's culture. A fine way for me to do this, is by reading primary accounts, accounts of people who tell directly from their own experiences. I would like to share with you a dozen of these accounts of famous and unknown travelers to the Cape Verde Islands, which stretch out over the period from 1498 to 1855. 2nd Ed: added journey by Jean Francois Michel (Dutch text). 3rd Ed: added text by Major A.B. Ellis of the 1st West India Regiment.